Krista grew up in Peterborough with a strong passion for sports. It seemed like a natural fit for her to have a career in Athletic Therapy. She graduated from Sheridan with an Honours Bachelor of Applied Health Sciences (Athletic Therapy) in 2010. She has an extensive background with field coverage during athletic events, including football, rugby, soccer, basketball, wrestling, hockey and volleyball. What is an Athletic Therapist? Athletic Therapists are the first to respond when someone gets hurt, they are experts at injury assessment and rehabilitation. They can treat a wide variety of clients, from kids with concussions, to seniors who have had a hip replacement, while using various manual techniques, modalities, exercise prescription, as well as bracing and taping. Athletic Therapists help anyone return to their usual activities, whether that is competitive sports, or walking to the mailbox. 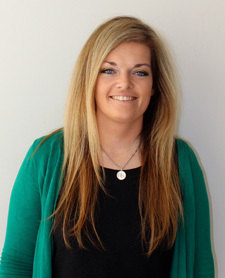 After completing her degree at Sheridan, Krista went on to earn her diploma in Massage Therapy from Ontario College of Health and Technology in 2011. Massage Therapists assess and treat soft tissue injuries and dysfunctions with hands on manipulation. In addition to treating clients in the clinic, Krista took on the role of Varsity Coordinator at Trent Health in Motion in July 2018. She works behind the scenes taking care of athletes’ medical screens, follow ups, and scheduling game coverage for our Trent Varsity Athletics.